The Original Wah Maker Classic Frontier Pant In A Soft Brushed Cotton Fabric Has Two Side Pockets, Adjustable Back Strap And Suspender Buttons. These Pants Have An Inseam Of 36". Made Of 100% Brushed Cotton. Prewashed. PLEASE READ BEFORE ORDERING YOUR PANTS! Please Remember These Pants Are High Waisted, Which Means They Do Not Fit Like Regular Pants. 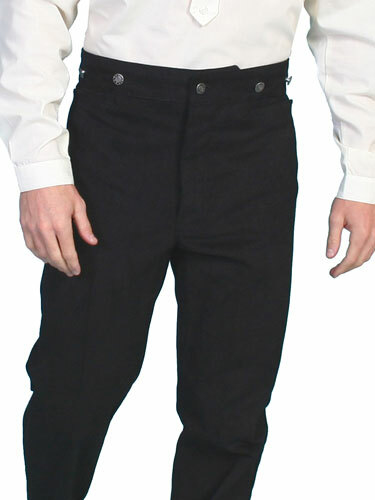 You May Have To Order A Size Larger As These Pants Waists Will Be Higher On Your Body Than Your Normal Pants.